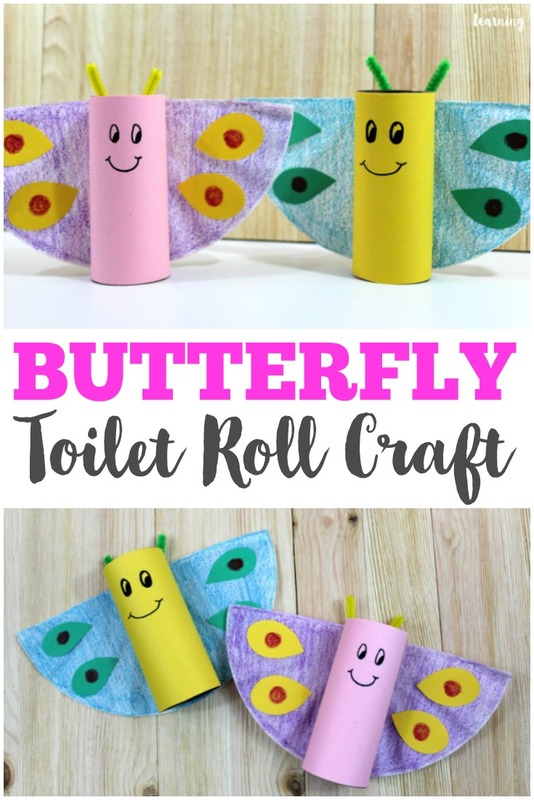 Toilet Roll Butterfly Craft - Look! We're Learning! I have to be honest: I haven’t been much of a crafter over the years. 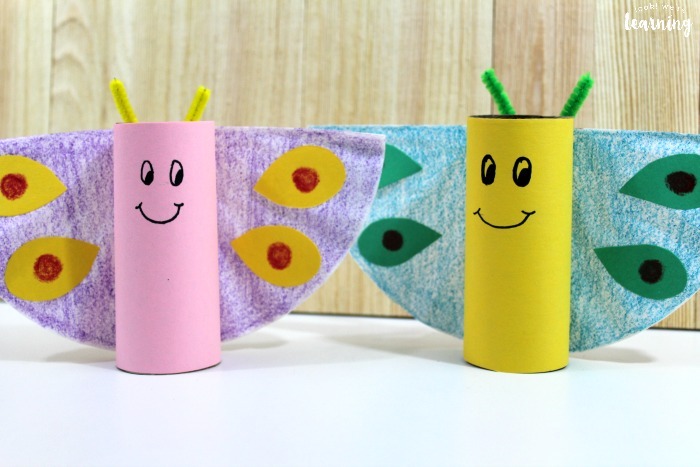 But, as the kids have grown up and shown an interest in making simple crafts, I’ve gotten into it with them. And I have to say: It’s been pretty fun! 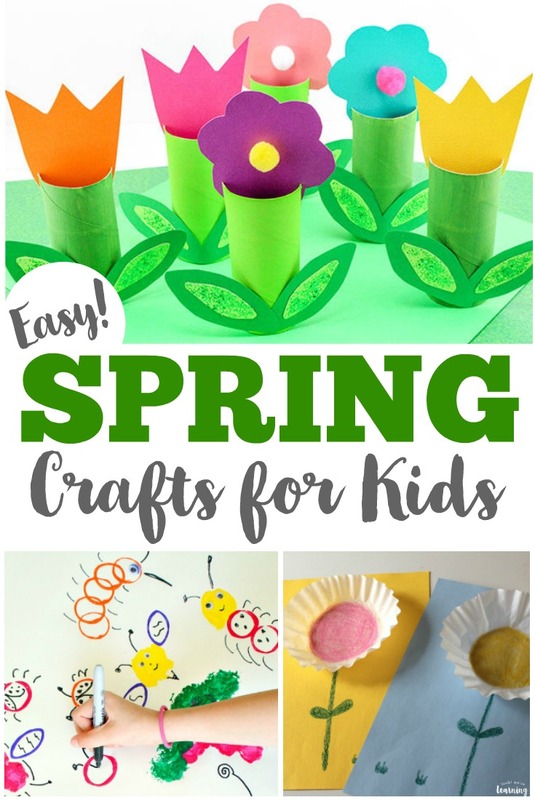 Springtime, in particular, is a great season for making crafts. 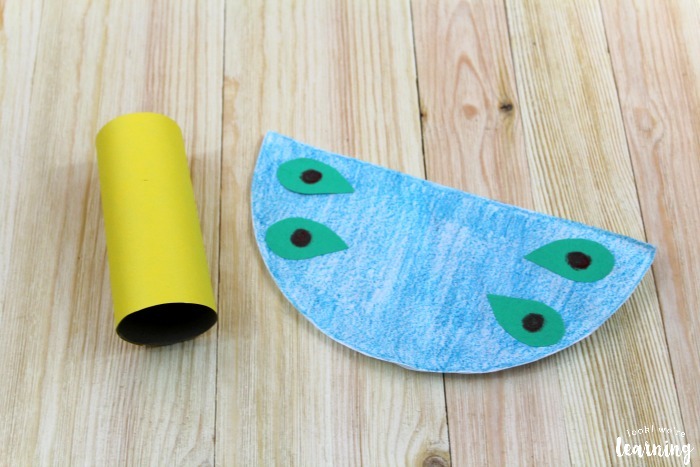 There are cute animals coming out all over the place and we can use our crafting projects to learn more about them. 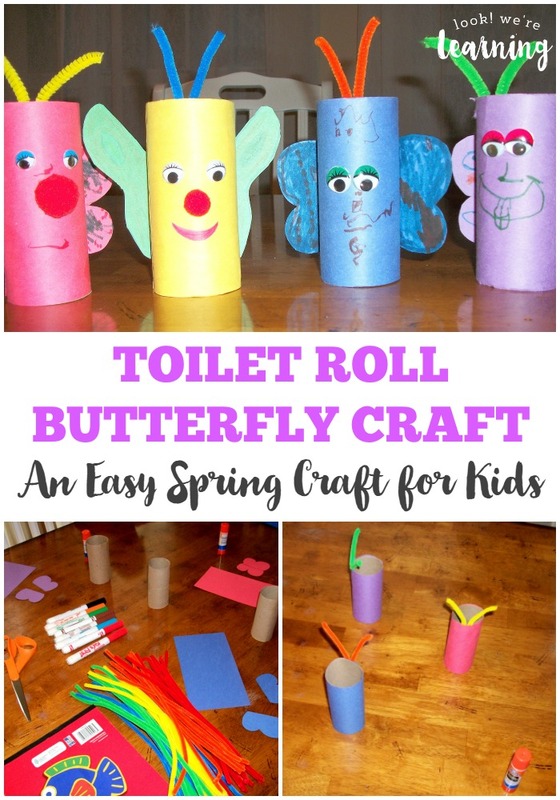 So this spring we decided to make a cute and easy toilet roll butterfly craft! 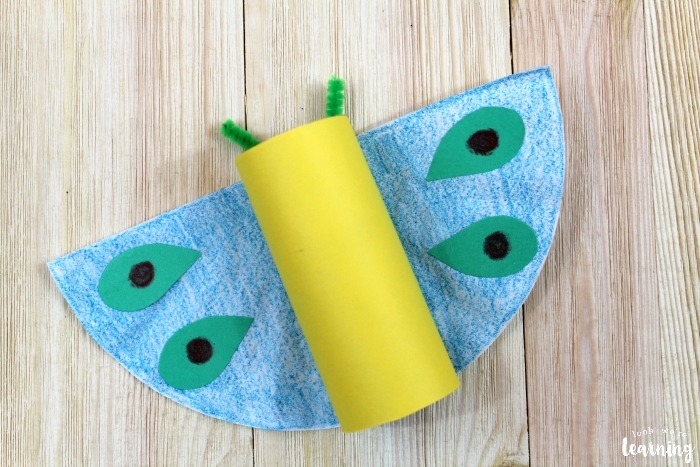 See how to make this easy spring butterfly craft with your little ones below! 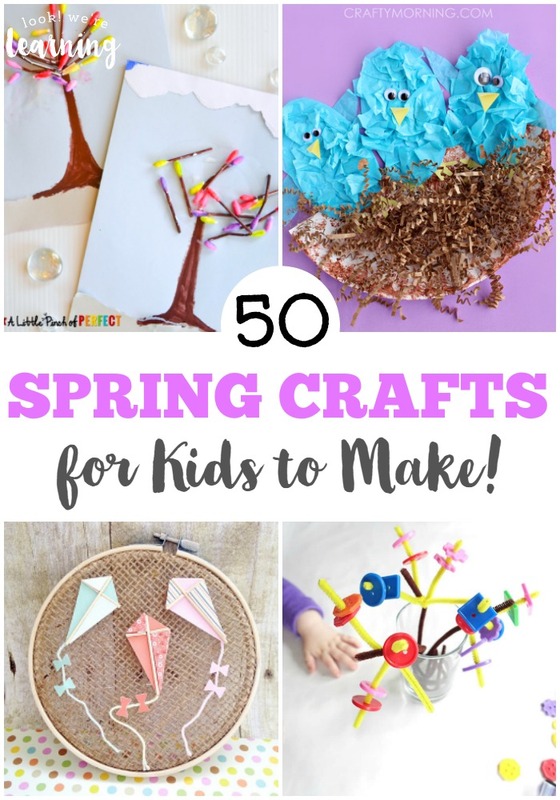 And, for more adorable spring crafting fun, don’t miss our list of 30 spring animal crafts you can make with the kids! This craft literally came together in about 45 minutes from start to finish, so it was perfect for keeping the kids happy while we made dinner. 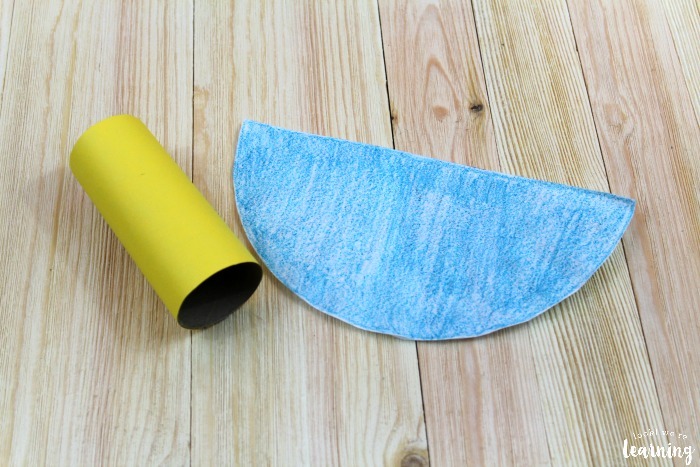 Cut a single sheet of construction paper in half horizontally. 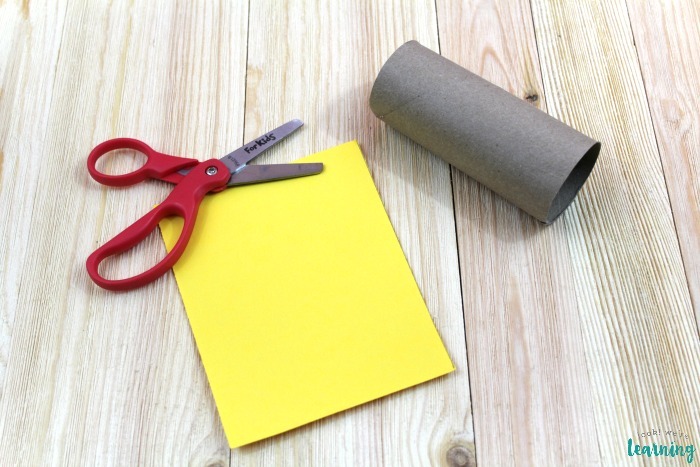 Then wrap the half sheet of construction paper around the toilet roll and secure with clear tape. 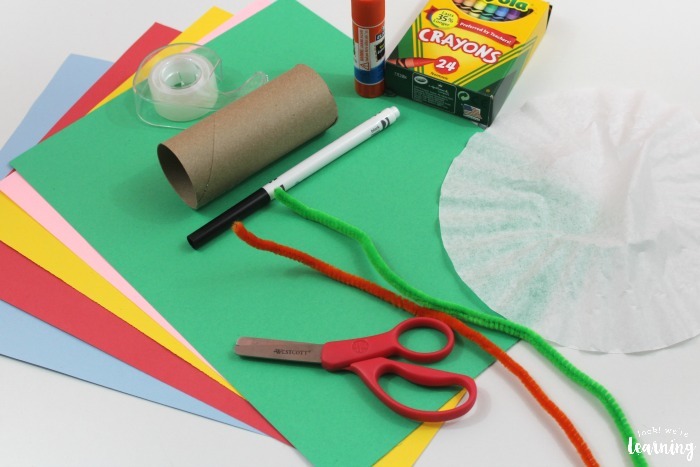 Next, fold the coffee filter in half and use a glue stick to seal it closed. Color the entire filter half. Cut four small petal shapes out of a contrasting color of construction paper. 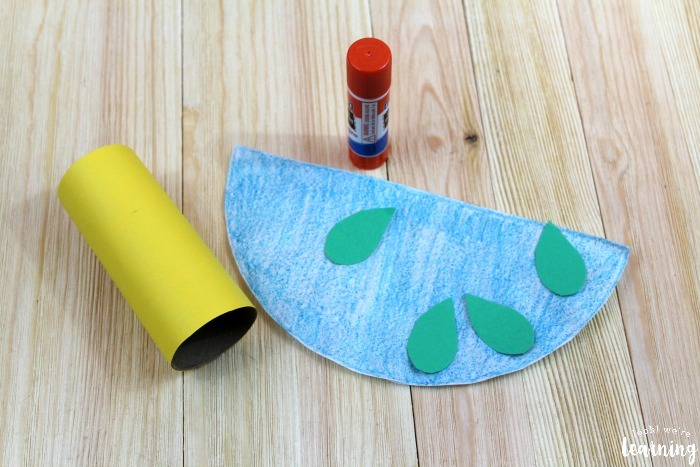 Glue two petal shapes on either side of the filter, then use a crayon to color a dot in the center of each petal. 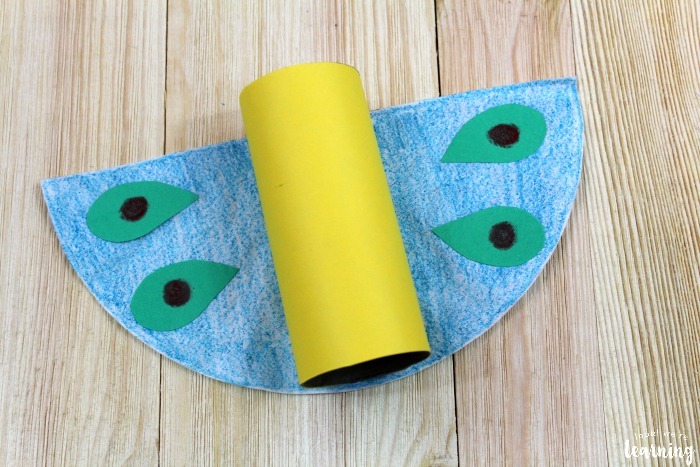 These are your butterfly’s “wings”. 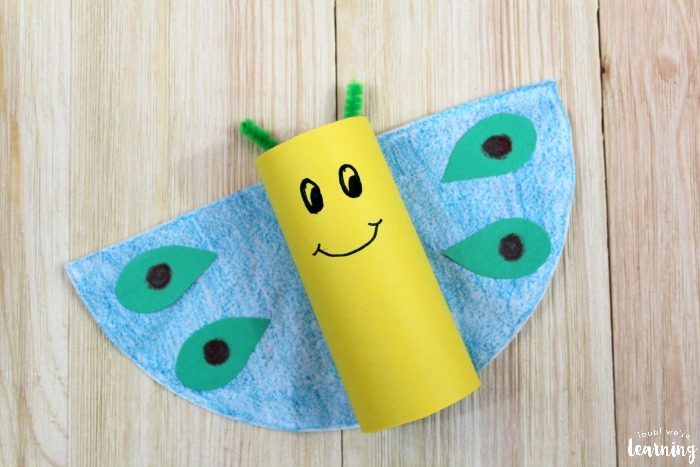 Use the glue stick to attach the wings to the toilet roll. Cut off a small piece of a colored pipe cleaner and fold it into a “V” shape. Tape it to the back of the toilet roll. 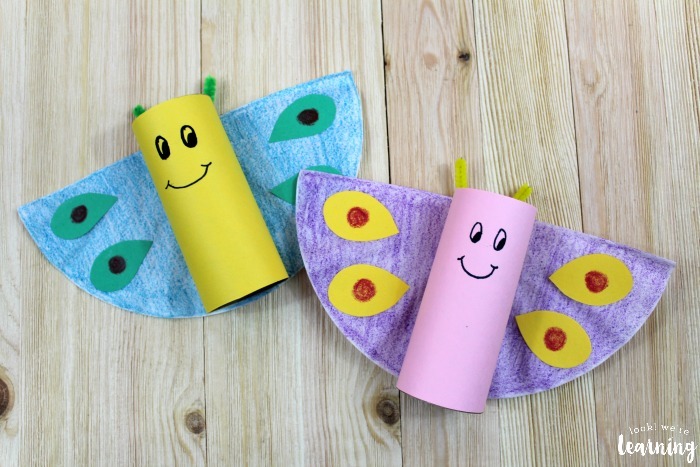 These are your butterfly’s “antennae”. Finally, use a marker to add eyes and a smile. You’re done! 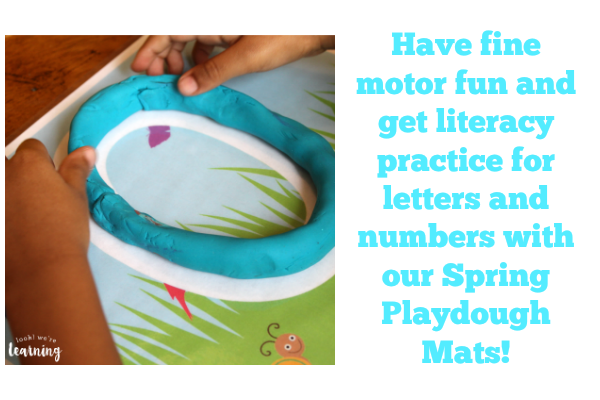 You can make these in all kinds of colors! 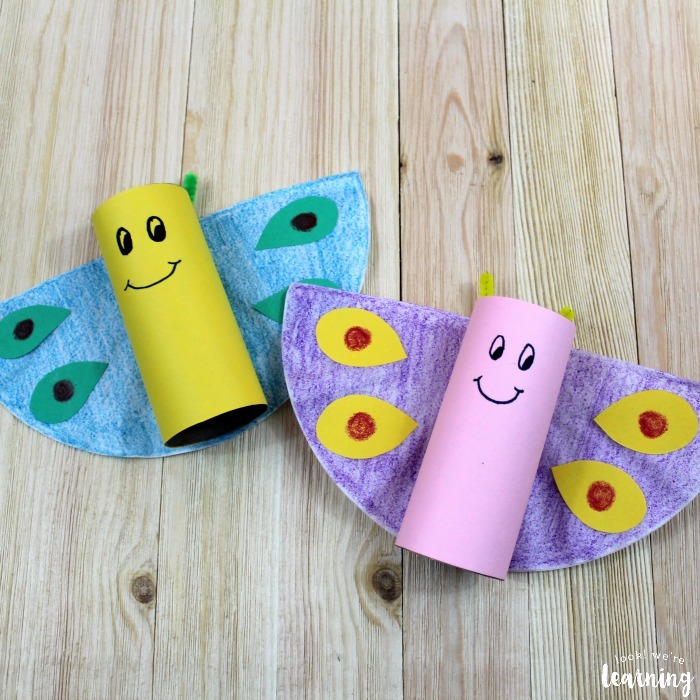 If you enjoy this toilet roll butterfly craft, check out some of other spring activities! 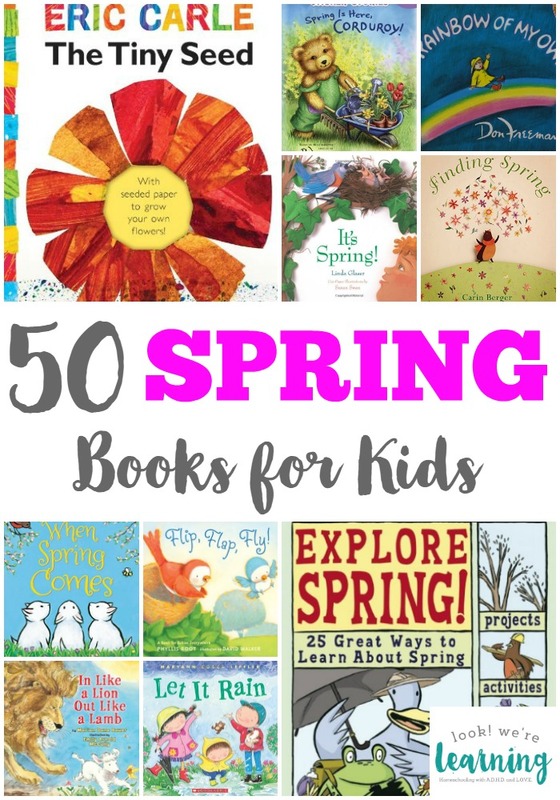 Plus, get more ideas on my Spring Activities for Kids Pinterest board!